In our lab, as soon as it gets a little bit warmer out, spontaneous outings for pitchers of sangria on a patio become common. Unfortunately, not only has the weather been uncooperative, but our go-to sangria place closed down recently. Have no fear! 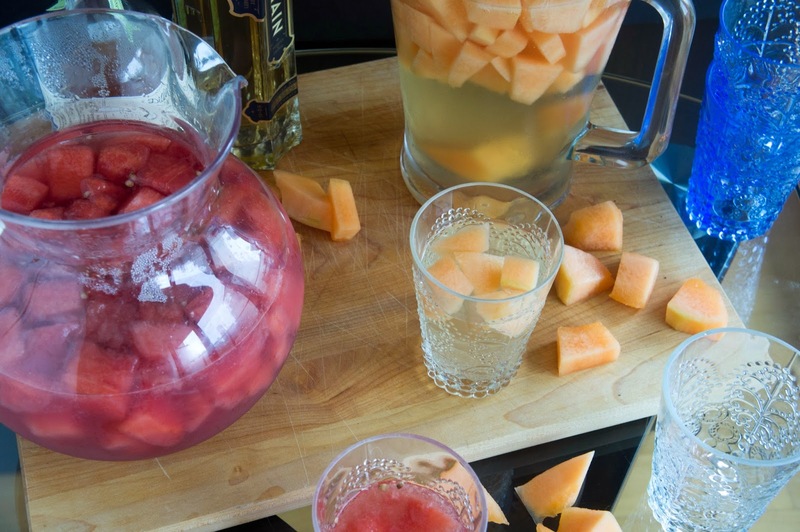 We can make sangria at home. And we can make it better, with melons, and good wine. 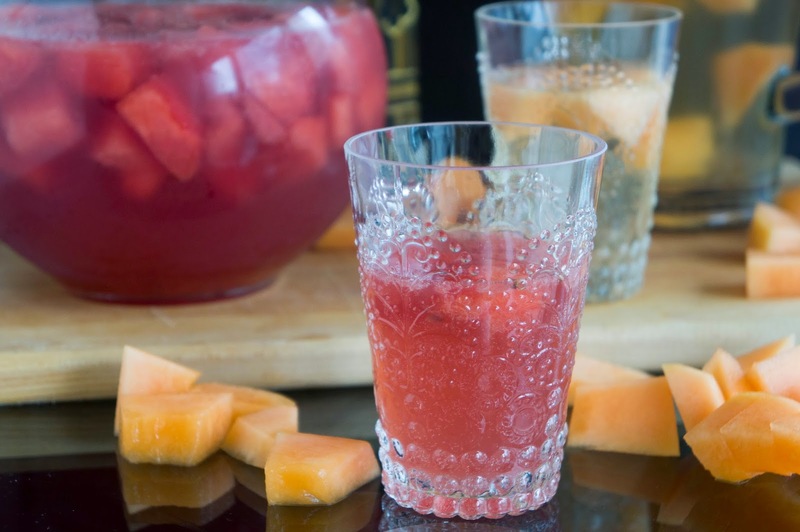 Normally sangria has a mix of fruits in it, but here I decided to stick with one fruit and build the flavours around it. 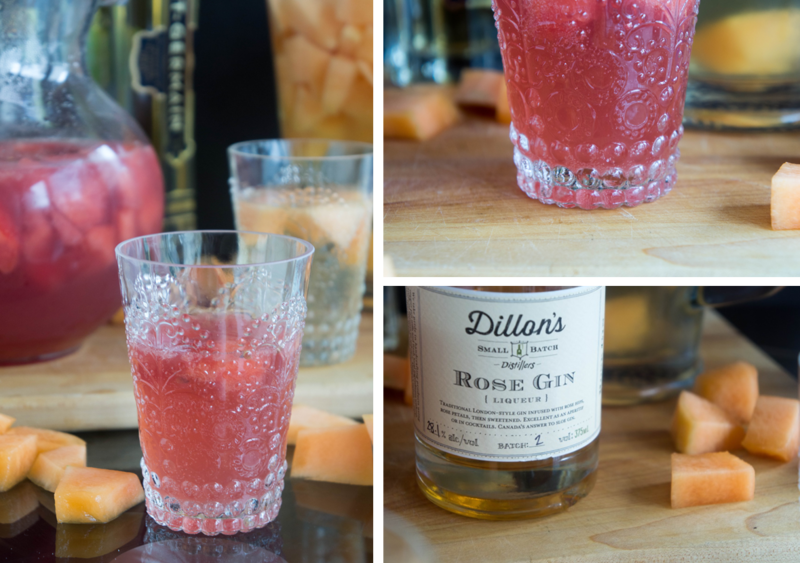 Cubes of watermelon are mixed with rosé wine and complemented with the rose flavour in Dillon’s rose gin and my homemade rose simple syrup. Pink goes with pink goes with (pink) roses. 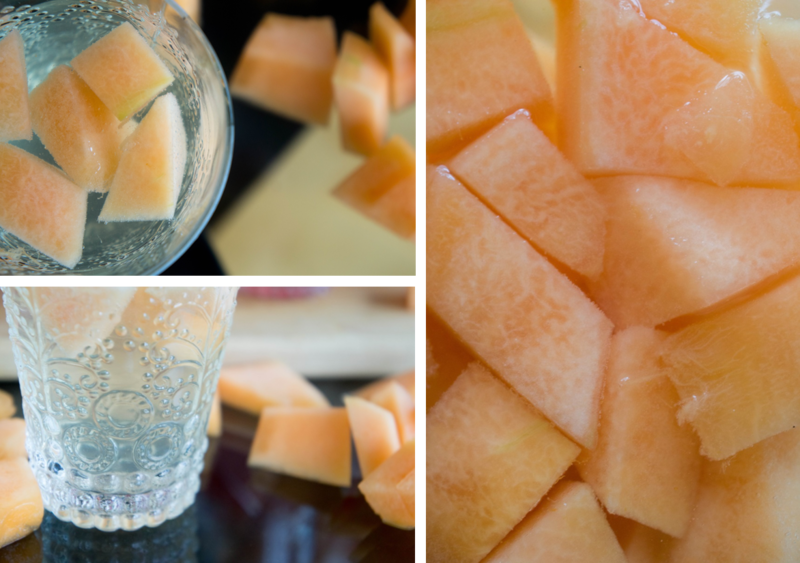 The fresh flavour of cantaloupe is enhanced with floral elderflower liquor and the zing of a lively white wine. The flavours mingle and intensify overnight. Invite your friends and serve cold for a refreshing post work de-stressing session. This post was not sponsored by Dillon’s Distillery. I just like them. Friends got plans? 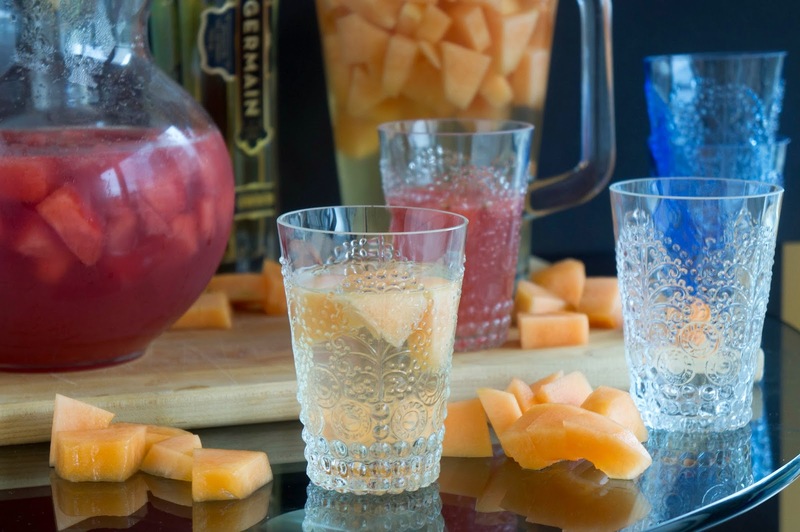 You can still enjoy a personal sangria by yourself! 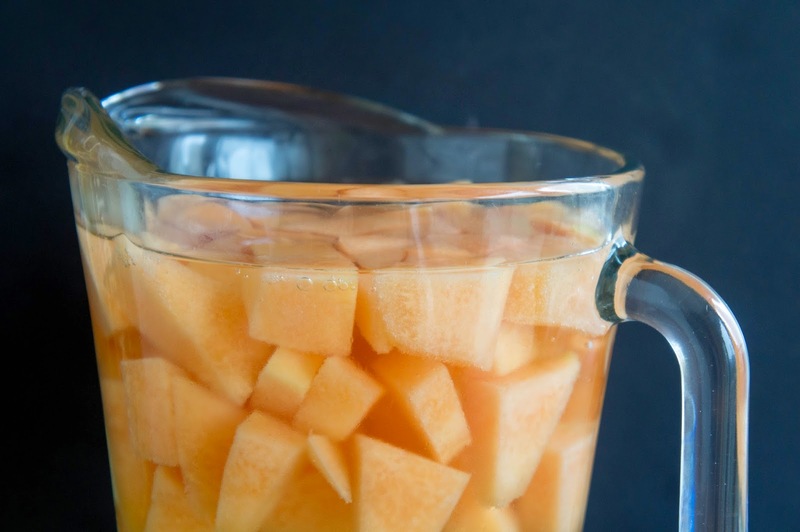 Mix all ingredients in a large pitcher. Taste for sweetness and add simple syrup to taste. Refrigerate overnight before serving.